No matter what you’re writing, revising drafts is a headache. Not only do you have to review your article or story with microscopic focus, but the stress of missing an error and hurting your future writing prospects can be terrifying. Automatic editing software often misses errors and paying for editing services isn’t always an option. It’s important to find an editing technique that makes the revision process easier and makes you feel confident in your writing. I developed my own editing method while pursuing my bachelor’s degree in writing and communications. I was freelancing for a local newspaper and serving as editor in chief of my college newspaper while balancing a full course-load of writing-intensive classes and a 75-page senior thesis. I didn’t have time to spend hours reading over every article or paper. Students taking a professional editing course at Kennesaw State University recently contacted me and asked the question below. As I responded to them, I thought both w riters and editors would find this list helpful. What are the most important skills someone needs to be a high-quality nonfiction editor? Ability to whack wordiness (e.g., tighten the writing, get rid of extraneous words, finding redundancies, keep sentences short, etc.) If writers did this in their own reviews, the editor would focus on value-added aspects such as flow and creativity. Use of figures of speech, metaphors, similes, etc. The bonus? Authors who revise their own writing using these skills can save time and money in the editing process before ever getting an editor involved. What is your experience editing your own writing? What techniques work best for you? 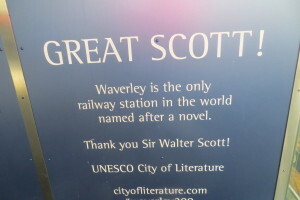 Edinburgh is the birthplace and home to world-famous writers, poets, and playwrights including Sir Arthur Conan Doyle (Sherlock Holmes), Sir Walter Scott (Waverley), and JK Rowling (Harry Potter). 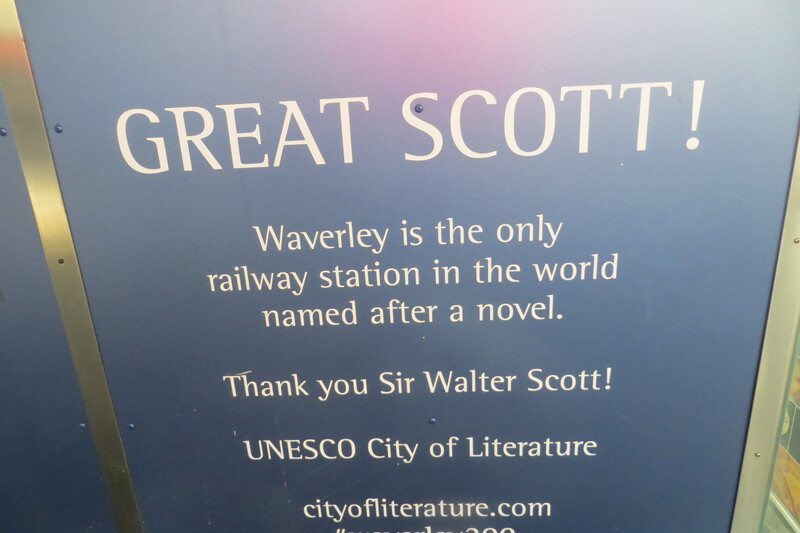 It even has its own Poet Laureate, the Edinburgh Makar. During two weeks each August, the Edinburgh International Book Festival features the world’s largest literary festival of its kind. 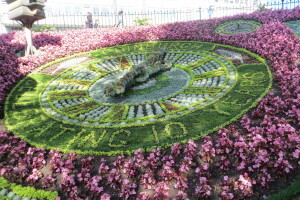 It welcomes approximately 800 authors from nearly 40 countries and brings in over 225,000 visitors annually. The more than 50 bookshops in this city of half-a-million people are key venues for a vibrant culture of readings, literary cabarets, and workshops. In 1725 the world’s first circulating library opened in Edinburgh and today free public libraries can be found all over. The National Library of Scotland, the leading center for the study of the Scots, the Scottish Poetry Library, and the Scottish Storytelling Centre are all found in Edinburgh. Which cities would you nominate for the designation City of Literature? Some of the most common clichés in current use include “threw under the bus,” “at the end of the day,” “with all due respect,” “the fact of the matter is,” and “don’t cry over spilled milk.” I’ve heard public figures use “end of the day” as many as 10 times in a short interview. Ouch! You learned in high school English classes that a cliché is “a trite, stereotyped expression that has lost originality and impact by long overuse,” as in “strong as an ox.” Most likely your teachers discouraged the use of clichés on aesthetic grounds, recommending instead that you use fresh and lively language. How about excising clichés on practical grounds so you don’t lose the impact of your messages? That’s another downside of using clichés. Q: Mr. Arbuthnot, since your last testimony, have you continued to follow the world of clichés? A: I’m all over it, 24/7. Q: Would you mind answering a few questions to establish your expertise? A: Whassup with that? Sorry if I’ve got that deer-in-the-headlights look, but I’m shocked, shocked. Here’s my deal: I’m a world-class talking head. I’ve made my bones and I’ve got all my bona fides. When you chatted me up with this, you didn’t give me a heads up that I had to reinvent myself. Q: I apologize. I am merely following the charter of this committee. Q: . . . You will certainly be a valuable witness . . .
A: Sweet. And I’m sorry for going postal a minute ago. I promise I won’t be high maintenance. With all the media here, I can see where this could be a win-win. Besides, I want to give something back. Q: Have you noticed any new clichés recently? You get the idea. Clichés start out as fresh and vigorous, became fashionable, then faddish, and finally, faded. They persist because they’re easily dispensed from the tongue or pen without much thought. Some still in use such as “dead as a doornail” are as old as Shakespeare. The beauty of using fresh, striking language is that it gets a listener’s attention, triggering images and feelings that engage the mind, stimulate creative processes, and are remembered. Doing this takes more mental effort and the intention to have impact, but in our hurry-up world of breezy interactions, such effort is in short supply. Our poets and novelists offer us the best repository of fresh language, plus a few columnists and commentators. They show us what language can do to get us thinking more vigorously. I remember with admiration the eloquence of the late radio-television commentator Eric Sevareid (1912-1992). His language was pure public poetry without a sniff of clichés. Go on a diet from using stale phrases and serve up gourmet words. 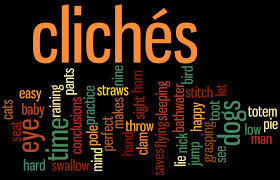 Which clichés tickle your fancy? Which would you like to ban from the English language? Please share here — and any new clichés you’ve come up with, too! Authors: What Do You Want from Your Book Editor? With 21 years of editing under my belt, I strive always to understand and deliver what authors want to the best of my ability as a book editor. Professional editors build careers on doing exactly that. They want more than a clean up; they want a major step up in clarity. They want support in thinking through the book’s organization before nitty-gritty editing begins. They want their book editor to be tuned in to their objectives for the book, keeping them top-of-mind throughout the process. They want their ideas made more appealing by adding vivid words and gem phrases they didn’t think of themselves. They want feedback on the effect their writing is or is not having on readers. Thus, they want their editor to act as an advocate or stand-in for the reader. Content: unfinished thoughts, missing steps, unclear logic or a story that falls flat. Language: fixing grammar, spelling, agreements, redundancies, repetition, mixed modifiers, run-on sentences, and more. Effectiveness: improving the flow and tightening the writing throughout. From the first contact with a client, I open a dialog through what I call a Planner—a questionnaire that focuses on the long-term goals for the book itself. Questions not only address the mechanics of editing but emphasize the author’s big-picture dreams. What successful books would be good models for yours? After people in your target audience have read this book, what do you want them to say about it? How would you like a testimonial to read? What actions do you want readers to take as a result of reading your book—both for their own benefit and for yours? What do you want them to know about your business and services? What changes do you want to create in your life/business as a result of putting this book out into the world? What value would having a successful book bring to you/your business brand? Which results do you seek most in working with an editor (followed by a list for ranking)? Order Your Editing the Way You Like It! Each manuscript provides a new opportunity for your editor to deliver on your “wants.” It should be like asking a waiter to have your meal prepared exactly to your specifications each time. Don’t short-change the editing process and its value to you. Use a tool like my Planner to articulate exactly what you want from your editor. Communicate through both written and verbal dialog so you can realize the boost in quality that will result. To see how Barbara’s Planner can help you, go here. Barbara’s note: Thanks to Teresa Funke, Chair of NSA Writers/Publishers PEG for printing this article in the PEG newsletter. What a lifesaver for writers and editors alike! Fellow NAIWE member Barbara McNichol has compiled in one easy-to-navigate manual the most crazy-making words from A-Z that, yes, trip us up. No more scrambling through stacks of reference books, as now the answers we seek are right at our fingertips. Who among us hasn’t agonized over “affect” or “effect”? “Lay” or “lie”? “Who” or “whom”? Word Trippers comes to our rescue, but it doesn’t stop there. It also includes homophones that trip us up, like vial/vile and waver/waiver. Excellent! My personal word tripper is “comprise” or “compose.” I have sought several sources and have never found an explanation to help keep them straight in my mind. Until now. 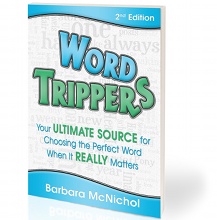 Thank you, Word Trippers! Editor’s note: Thanks, Diana. I’m honored you shared this on NAIWE, Amazaon, and Goodreads. 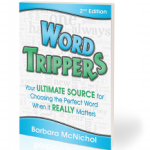 Readers: What is YOUR personal word tripper? Comment here! Authors and editors, how can you employ critical techniques that copyeditors use in your own work? Recently, I did a teleclass with slides to follow. It was hosted by Janice Campbell for members of NAIWE*. In this teleclass, I shared tricks of my trade that can save writers time and money in the editing process. As a way to sharpen their skills, editors will benefit from listening to the class and viewing the instructional slides, too! The National Association of Independent Writers and editors is a professional association for writers, editors, and anyone who works with words. Open to writers/editors in any country, NAIWE helps its members create multiple streams of writing income. Would you like to build your writing or editing career? Join the National Association of Independent Writers and Editors for success and support! Editor’s Note: My colleague Karen Saunders shares these 10 publishing “bloopers” to avoid if you’re self-publishing your book. Of special interest is #1. The number one mistake is not having your book professionally edited. There are different levels of editing: content editing, copy editing, and proofreading. 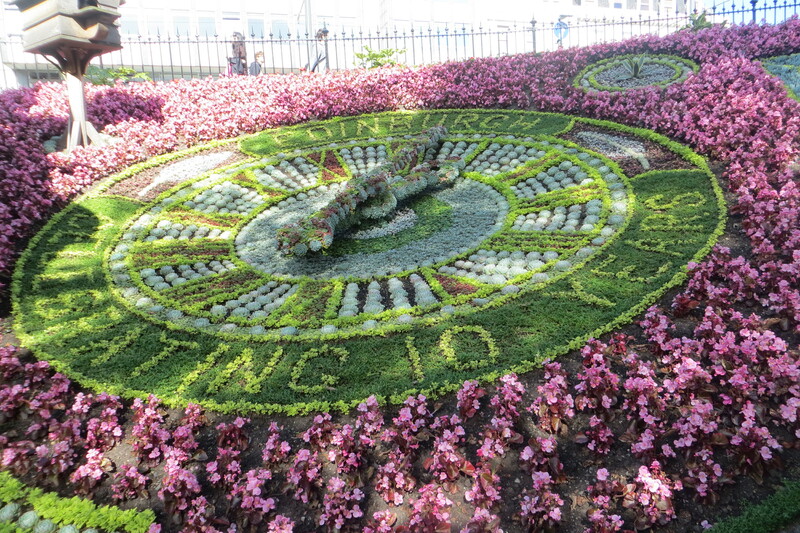 In my September 2014 blog post I describe in detail these three types of editing services. Missing the bar code. If you don’t have a bar code on the back cover of your book, you won’t be able to sell your book in bookstores or on Amazon. Bad cover design. Your cover sells your book. Hire a professional designer to create a stunning, attention-grabbing cover. Bad interior layout. Your book interior needs to be clean, organized, easy to read and meet standard formatting guidelines. One example of poor layout is the book titled A Million Little Pieces by James Frey. This controversial autobiography was revealed by Oprah to have fabricated content, and the interior layout is missing indents! It is extremely difficult to see where one paragraph ends and another begins. Blank back cover. Your back cover is valuable real estate to sell your book to prospective buyers. Make use of your back cover to include a snappy headline, bulleted benefit points, testimonials, summary, short biography, and a call to action. Misleading cover design and title. Make sure your title, subtitle, and cover graphics accurately portray and support the interior content. No copyright page. This is the most important page in your book. 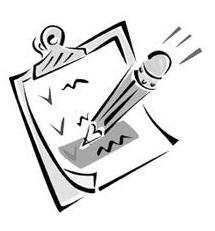 In my November 2012 blog post I include a list of necessary items for this page. Missing the ISBN number and/or LCCN number. You must have an ISBN number to sell your book anywhere other than your own website. Buy a block of 10 from Bowker.com. Use the second number in the list for the ebook version of your book. If you want to sell your book to libraries, you must have an LCCN number. Get one free from the Library of Congress. Using MS Word to lay out your book. This application is not a good choice for book interior page layout. It does not have the functionality and tools required to create a professional-quality layout. Use Adobe InDesign or Quark Xpress. Not having a well-thought-out marketing plan in place before you publish your book. 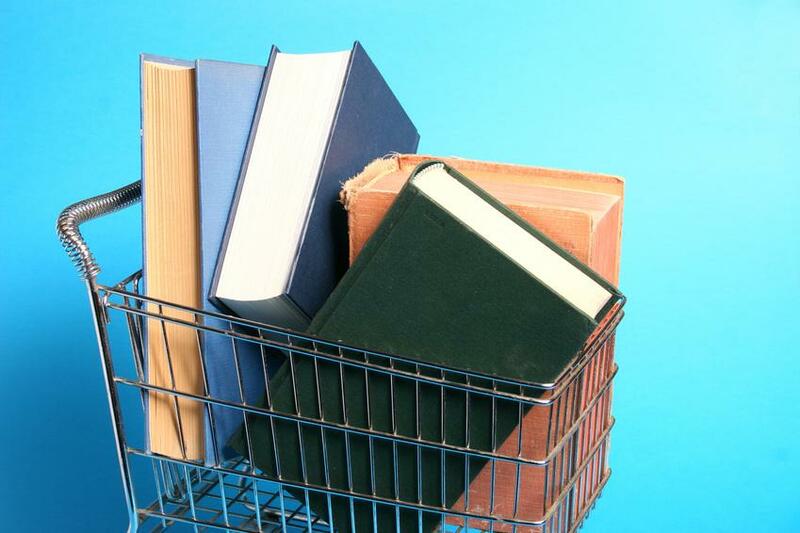 How and where will sell your book? You may need coaching to optimize social media tools for marketing your book. Learn about publishing support sites where you can drive interest in your book, gather pre-sales, and raise funds. Karen Saunders is the owner of MacGraphics Services, a unique graphic design firm for today’s entrepreneur. Karen Saunders and her team of award-winning designers help authors and small business owners design their books, convert their books into ebooks, build their brand, launch their website and market their business. Visit her website to download a free Book Media Checklist and a free eCourse on How to Create a Best-selling Book Design from the Inside Out at www.MacGraphics.net. You can also contact her at 888-796-7300, or Karen@macgraphics.net. It’s not the world’s longest word, but it’s close. Means fear of Friday the 13th. Authors: where might you use any of these “phobia” words? With all of the options out there to publish, it’s pretty tempting to just point and click your way to a completed book. When print-on-demand first came on the scene around 1999, we saw a glut of books being pushed through the system, unedited, unvetted. When someone said “garbage in, garbage out,” they were often referring to self-publishing. Hence the stigma. If you’re new to indie publishing and you think that the stigma is the “us against them” idea, you’re only partially right. The history, albeit a somewhat negative one, started many years ago when authors thought their book was “good enough” to publish. Cycle forward to 2013: We now have some 300,000 books published a year, the competition is fierce and the stakes are high. That number, by the way, comes from Bowker, which produces these statistics and readily admits that this number doesn’t include eBooks or books that are published without an ISBN. You can imagine how high that number really is. People ask me all the time, “How can I be successful?” Well, aside from the usual stuff, like show up and keep promoting, the one key to success is to publish a book so good, your reader can’t put it down. But to take it a step beyond that, I would say publish something that has been edited often, and by someone who knows how to edit a book and isn’t afraid to tell you the things you may not want to hear. It’s amazing how, over the years, I’ve heard time and time again that, “Well, my neighbor/mother/wife/husband edited my book.” You should never, ever have your book edited by someone who is a family member, friend, etc. Why? Because if the book is really horrible, they may not feel they can tell you. Also, are they really professionals? Do they have a business? Let me say this, if you publish a book that’s subpar, no matter how much money you throw at it, it will never succeed. Some critics might say that the Celestine Prophecy succeeded despite a poor editing job. Well, that may be true, but can you think of another book that reached bestseller status where people said, “Good story, but it needed an editor?” I didn’t think so. Let’s look at this from another perspective: book reviews. Your book is your resume. Ask yourself how many book reviews you might be losing because of poor editing. I asked Lauren Hidden of The Hidden Helpers, http://www.thehiddenhelpers.com, to weigh in with her views on editing. Why is editing so important? You had phenomenal ideas for your book; many of them, in fact. Maybe it was a section of super-helpful information in your business book or a fascinating, quirky character that popped up every few chapters in your novel – you certainly have a personal investment in what made the “final” cut from your head onto paper. You know your topic or your story inside and out, but sometimes what you’re thinking doesn’t successfully translate to paper. That’s where an editor steps in – clarifying a confusing scene, tightening up a repetitive or wordy section, correcting a word you consistently misspell, or fixing a problem with shifting tenses. Readers can tell if your book isn’t edited. The idea is for readers to love your book and tell all their friends about it. Don’t give them a reason to put your book down after the first five pages. Who should get their book edited? Everyone. Wise authors know that they have to put their best foot forward. Period. This applies equally if you are seeking a traditional publishing contract or if you are planning to self-publish your book. Why would you let a reader or agent/publisher read anything but your best work? Competition is fierce. A poorly edited book will score bad reviews from readers or end up in the circular file in an acquisitions editor’s office. Too many authors say they can’t “afford” to get their book edited, but you shouldn’t start writing a book without incorporating editing into your budget. Think of the hundreds of hours you put into your book writing and revising, and the money you earmarked for layout, cover design, and promotion. If your book isn’t polished, you’ve just thrown away all that time and money – not to mention future revenues you were eagerly anticipating from book sales. An investment in editing can pay off for years to come. What mistakes do people make when choosing an editor? The biggest mistake people make is not finding the best fit for them and their specific book. Ask for editor recommendations from other authors and industry professionals. 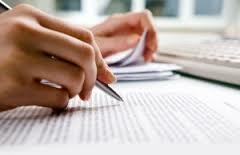 You should choose an editor who is experienced in working in your genre. You should also be sure to ask how long the project will take them to complete, as well as how they charge for their services. Also, make sure you and the editor agree on the amount and type of the editing to be performed. 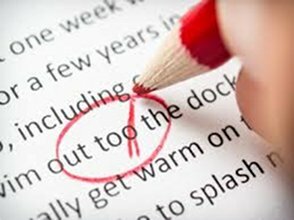 Some editors may perform more of a proofread looking for blatant errors and some may try to rewrite your book. You likely don’t want either of these extremes. Another big mistake people make is looking for the cheapest possible editor. Do your homework and make sure the editor’s expertise and experience is a good fit for you – as well as the fee. The last thing your wallet or timeline needs is to have to hire a second editor because the first one didn’t do your book justice. What’s the difference between copyediting and content editing and do people often need both? Simplified, copy editing is polishing the words on the page. This can be correcting subject/verb agreement, eliminating repetition, fixing spelling errors, cleaning up awkward phrasing, correcting homonyms, and the like. Content editing is addressing the “bigger picture” of the book. In fiction, this most often means addressing inconsistencies with character and plot points, recommending the author eliminates or expands scenes, and ensuring the book flows well. In nonfiction, content editing most often addresses the clarity, completeness, consistency, and organization of the information being presented. And yes, every author should have content and copy editing performed. Sometimes authors don’t think they need content editing, but they’re also not an impartial party. Of course, everything makes sense to the author who wrote the manuscript, but will it make sense to the reader? Content editing answers this question. How many times should a book be edited? Is there such a thing as over-editing? A book should certainly be self-edited by the author before a professional editor ever lays eyes on it. When it reaches an editor’s hands, the editor and the author will discuss the number of rounds the editor typically performs. Then you may want an independent proofread for a second set of eyes. But after that, and after the author’s final review, the book should be finished. I’ve seen some authors run into problems when they’ve self edited their book, then hired a trusted, high-quality editor, and finally asked for feedback from their friends who all suggested other changes to the book. At some point you have to let your book go. Don’t keep second guessing yourself. If you passed your book around to 10 different industry friends, you’d get 10 different opinions what to change. If you feel that you took all the necessary steps to produce a great book, had it professionally edited, and are happy with how it turned out, then it’s time to release it to the world. If you’re just submitting a book proposal to agents and publishers or you are submitting the entire manuscript, you should have the book fully edited. Why? Publishers and agents often don’t have the time to ferret through unedited or rough manuscripts. You’ll increase your chances of getting noticed if your book and package are polished. If your editor loves everything you write, there’s something wrong. The truth is that while you should like your editor, they should push you. One reason I love working with my editor (Lauren) is that she pushes me very hard on my work and won’t let me slide or slack off on anything. While sometimes I really just want to be done with it, in the end it makes for a much better book. Don’t skimp on editing. Ever. I know Lauren addressed this above but really, it’s such an important part of your book and, as I mentioned early on, the single biggest marketing tool. Consider this: you have spent years writing this book, why would you pour marketing dollars and marketing effort into something that wasn’t your best work? The world won’t love your book simply because you wrote it, it must be the best work you could have produced and if you’re not ready to meet this criterion, then you may want to wait until you are. There’s a lot of time and money wasted on books that aren’t great. In fact, some years ago I worked with iUniverse.com, and the then CEO told me that only 1% of the books submitted to them are, in fact, readable. One percent. That’s a frightening number. Here’s another scary stat. 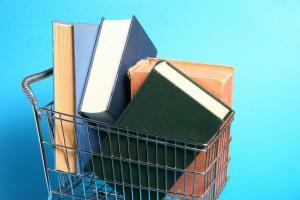 There are approximately a billion eBook titles and three million print titles on Amazon.com. Staggering, no? It’s hard enough to compete in publishing. Put in the effort and put forth your best book. Does your book deserve anything less?